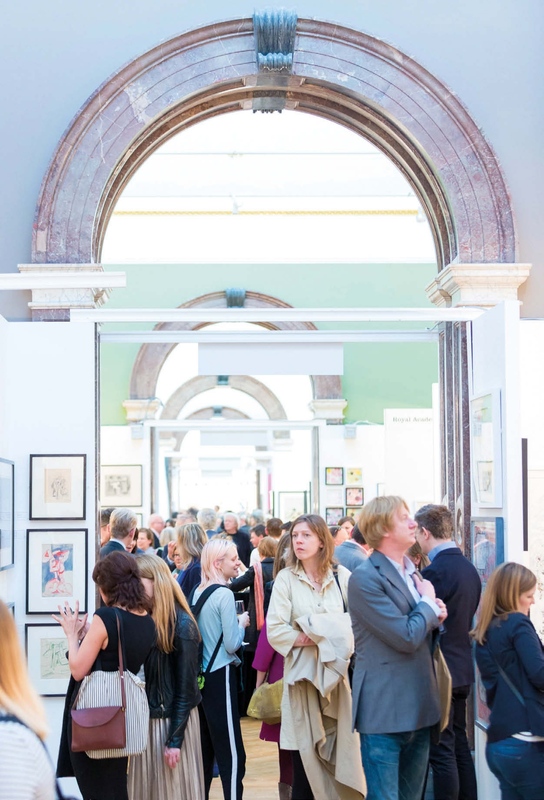 Visitors at a previous London Original Print Fair (LOPF) at the Royal Academy of Arts. The award was launched in 2016 and is sponsored by fine art insurance brokers Hallett Independent. The shortlist was selected by a judging panel chaired by the president of the Royal Academy, Christopher Le Brun. The judges were Sam Phillips, editor of the RA Magazine; Helen Rosslyn, director of LOPF; and Clare Pardy, director of museum and heritage services at Hallett Independent. The winner will be announced at the preview of the fair at 5.30pm on May 2.